It's the favourite time of year. 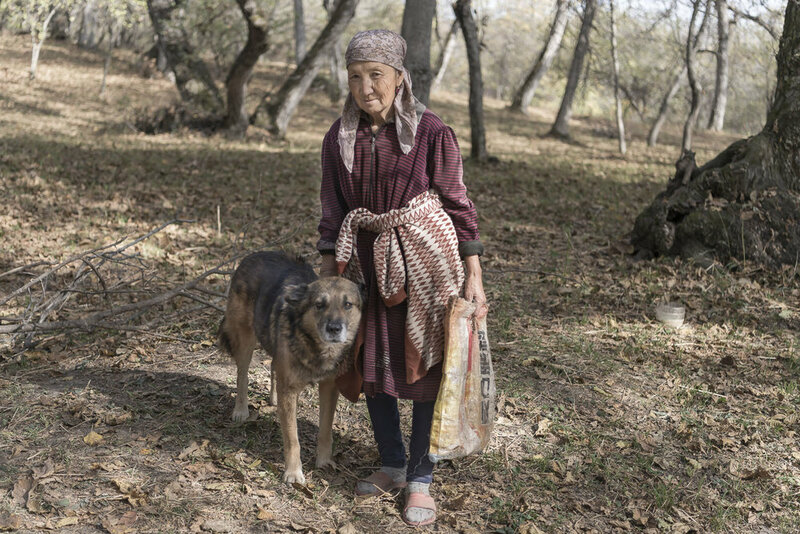 As the summer heat subsides and the air clears, villagers living on the slopes of Kyrgyzstan's Fergana Range head to the forests to gather walnuts. 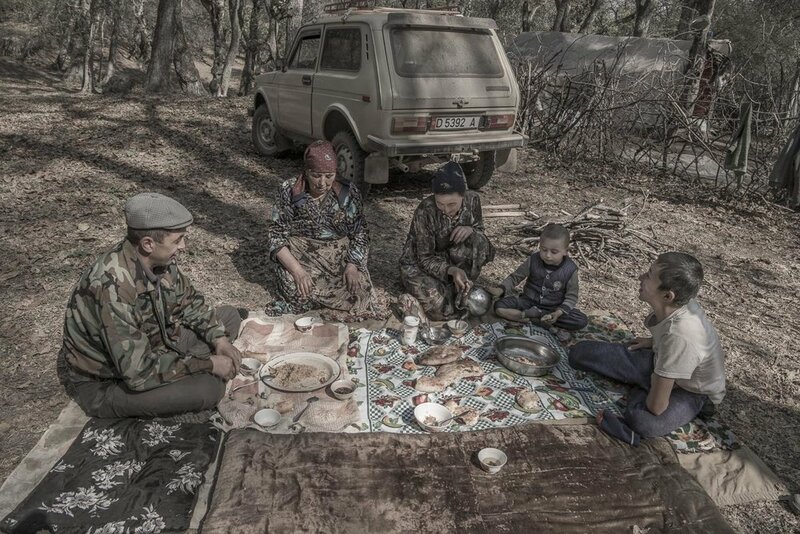 Loading their ex-Soviet military jeeps with tarpaulins, blankets and kitchen utensils, they prepare to spend a month living beneath the canopies of the forest. 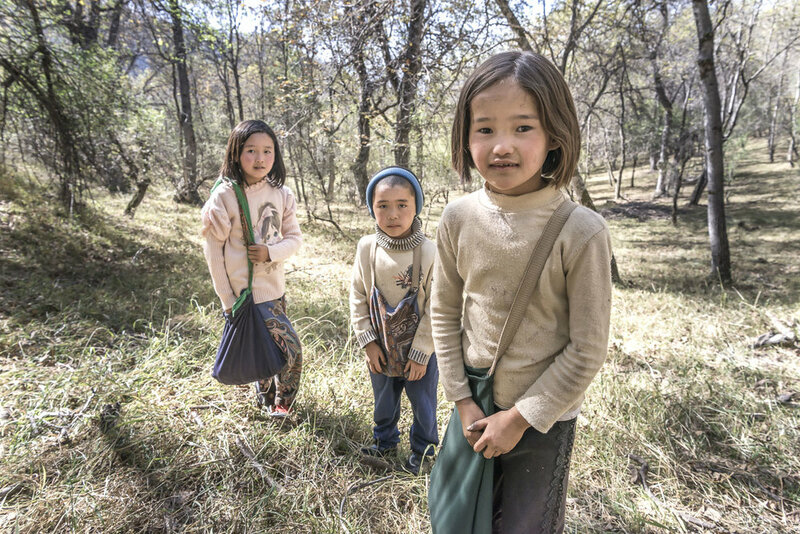 Kyrgyzstan's fertile Fergana Valley is home to some of the largest intact stands of walnut trees on earth. 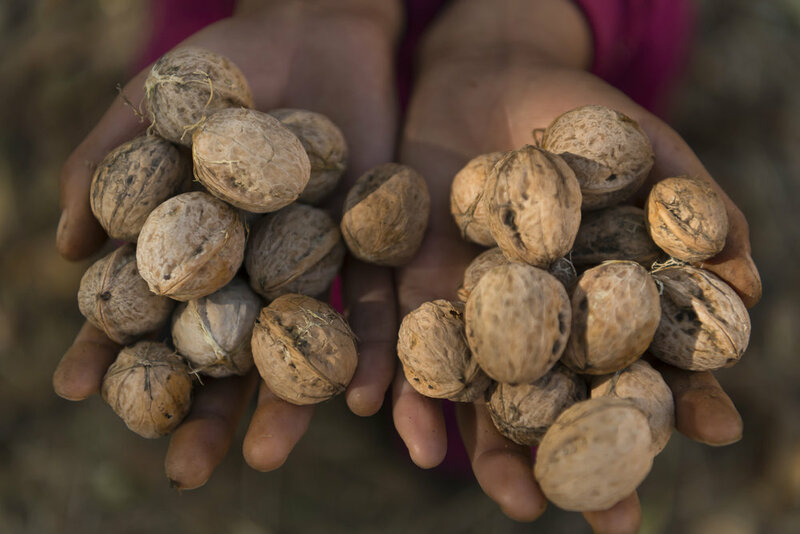 Legend has it that Alexander the Great, having conquered this region in the 4th Century BC, brought some of the walnuts home with him to Greece and they were subsequently scattered around the Globe. 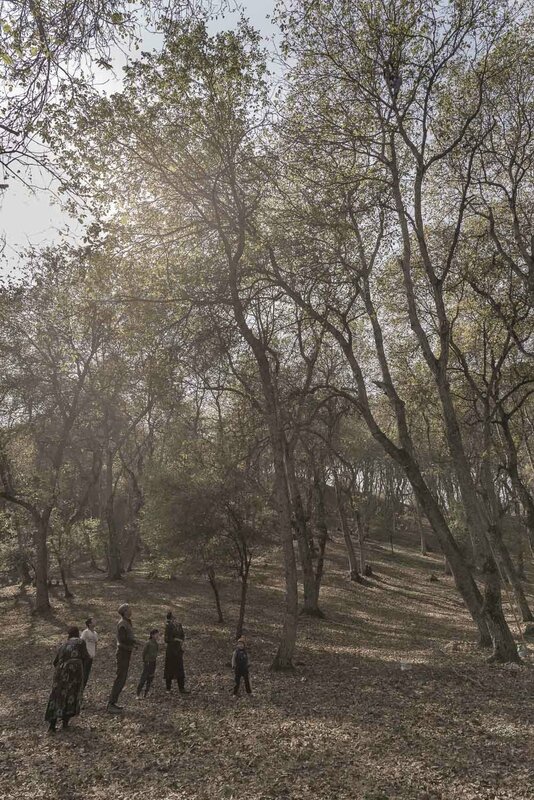 Families each rent a parcel of land where they set up camp and spend their days scouring the forest floor for walnuts. 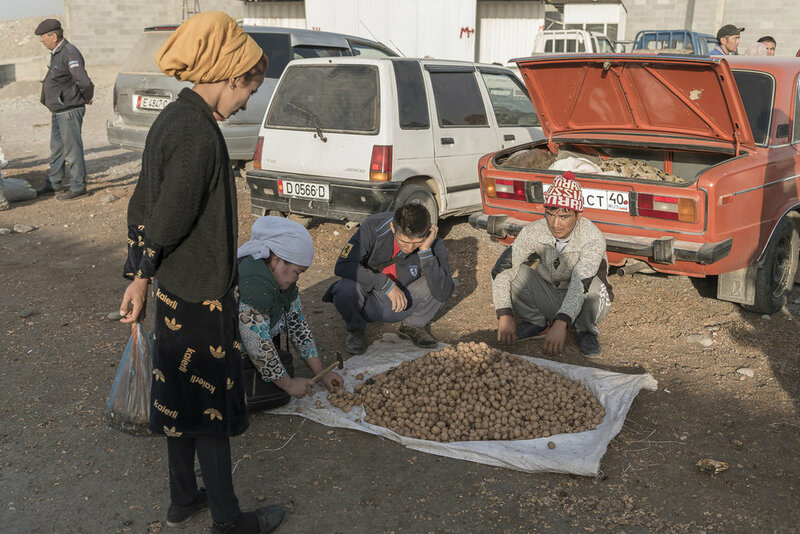 The money they earn from selling the nuts at market is around 2-300 US dollars which provides a valuable additional income in a society where the average income is less than $1,000. But it's not all hard work. It's treated as a bit of a holiday and children are given a free pass from school. 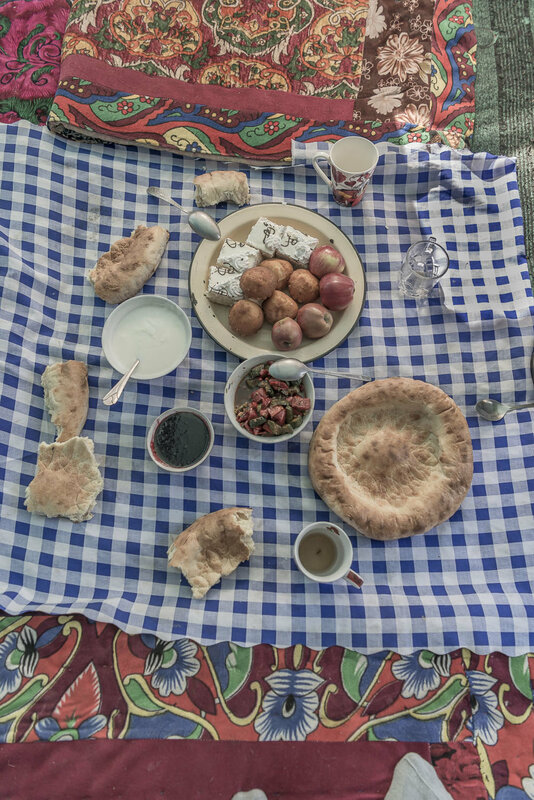 Families from adjoining plots gather together to drink tea and share picnics around open fires and children can be heard laughing and chatting as they run around with cotton bags filled with walnuts. During Soviet times the forests were owned by the state and workers were employed to pick walnuts which were exported throughout the USSR. 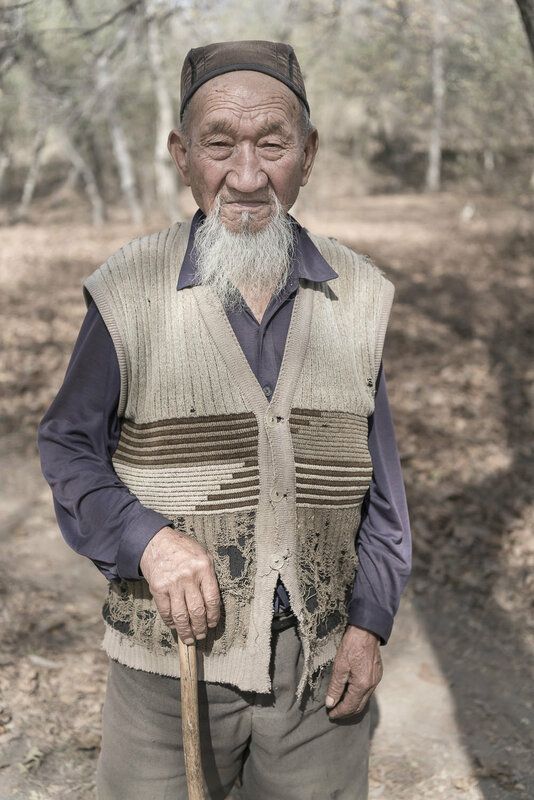 After the collapse of communism, and the hard times that followed, the very survival of the forests were deemed at risk as Russian forest management schemes broke down and people were tempted to fell trees for firewood. People were forced to keep livestock which they let roam uncontrollably in the forests resulting in young saplings being eaten. Since that time international NGOs and forestry experts have helped to slow the post-Soviet degradation and replace it with a collaborative one that gives more power and a profit incentive to local residents. However, animals do continue to graze in the forests and local say they don' t have the funds to pay for new planting, particularly when late frosts have impacted the harvest for the past 2 years, something they blame on climate change.